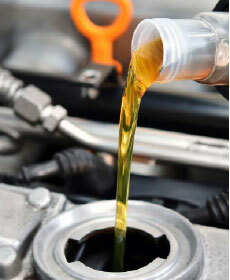 Auto Service is one of those essential aspects to car ownership that should never be taken for granted. Poor repair, lack of access, and rip off prices are all things to worry about outside of a trusted dealership. Fortunately, at Ed Martin Nissan of Anderson, we go above and beyond to serve Indianapolis area drivers spectacular car repair whenever it's needed most. Our Anderson Nissan dealership specializes in auto repair and Nissan auto parts for your benefit. What sort of car services do we offer? Everything from brake repair, tire rotations, filter replacements, and oil changes, to more advanced auto repair is a breeze to our certified technicians. We have all the experience in the world when it comes to plenty of automotive variety. Whether used Nissan models or other brands, there's nothing we can't do for Noblesville customers here at Ed Martin Nissan of Anderson. Take Advantage of our Car Service Specials! Fishers and Muncie residents looking for the best bang for their buck should browse our service specials section on our website. We offer coupons and service specials such as Brake flushes, Coolant Service, and the Ed Martin Vehicle Works Package all at special prices. Our Ed Martin Vehicle Works Package comes in at incredible value as we change your oil, do a tire rotation, inspect your battery, provide a multi-point inspection, and deliver a complimentary car wash and brake inspection all for one low rate. For some of the best special deals on the market, make sure you stop by Ed Martin Nissan of Anderson. We take care of drivers from Fishers, Indianapolis, to the rest of Indiana. We know a thing or two about saving our customers money and providing elite auto repair, see for yourself when you visit our service station.